MEMPHIS, Tenn. (WREG) — A man trapped an animal that was tearing up his grass, but it's nothing he's seen before. "I don't know what it is. 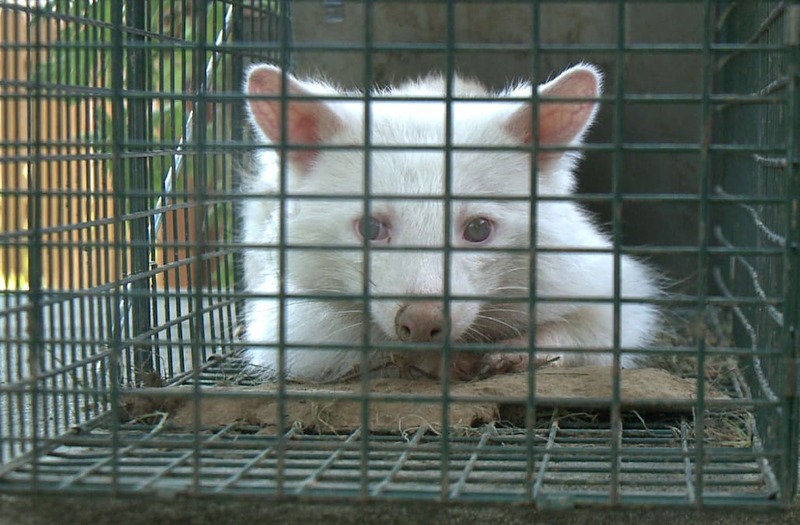 Some people say it's an albino raccoon, some says it's an albino fox. I don't know what it is. It's just an animal that I want to get rid of, and no one wants to come and get it," Calvin Lee said. A Memphis man decided to set up a trap when an animal started tearing up his grass but what he caught is something he has never seen before. WREG investigated, and we believe it's a baby albino raccoon. "I called police department, and I called APEX. They said they'd come and set the traps, but they don't come an pick up trapped animals. So, I don't know what to do with it...so I called Channel 3 news. Maybe you guys will know what to do with," Lee said with a laugh. "I don't want to put it down, I wouldn't turn it loose. I wanna call someone to come and get it. Maybe there's someone out there who wants it. I don't want it." We've asked the Memphis Zoo and the City of Memphis what Lee should do with the animal, but we haven't heard back yet.